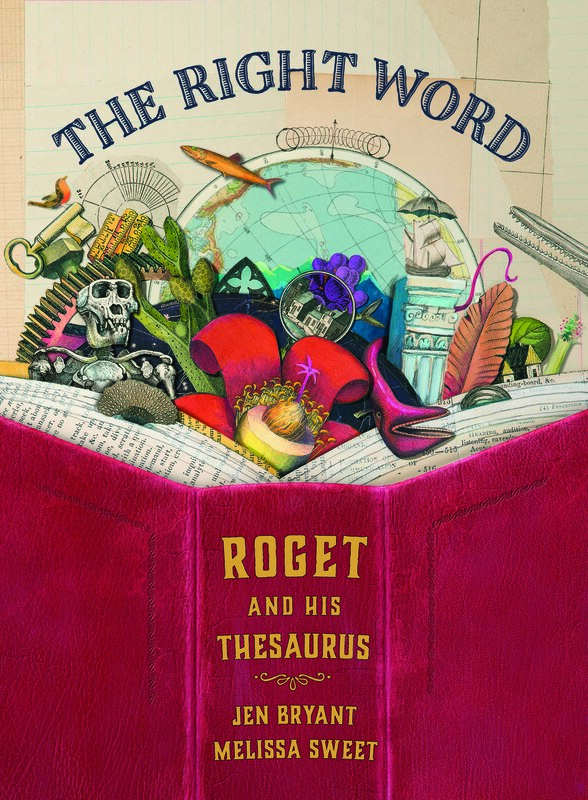 Last week in my Kirkus column, I mentioned Jen Bryant’s The Right Word: Roget and his Thesaurus, illustrated by Melissa Sweet, coming from Eerdmans in September. It’s such a superb picture book, and today Melissa visits to share a bit about what went into creating the art for it. 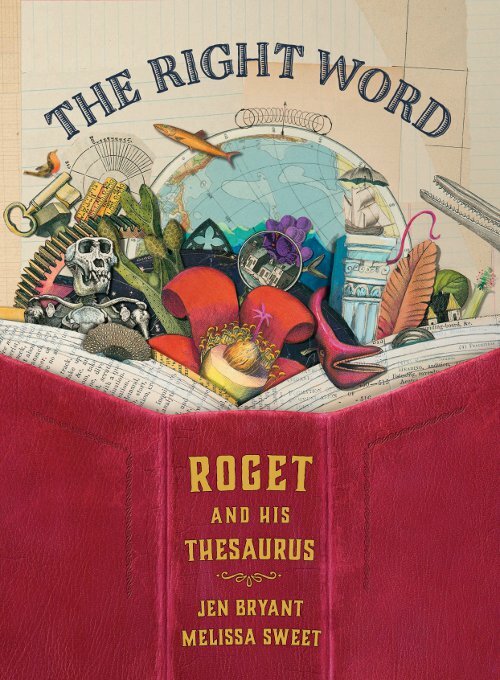 Melissa: The research for this book began when I visited a private collector who owns Roget memorabilia, including the original word book [from] Roget, which later became his Thesaurus. 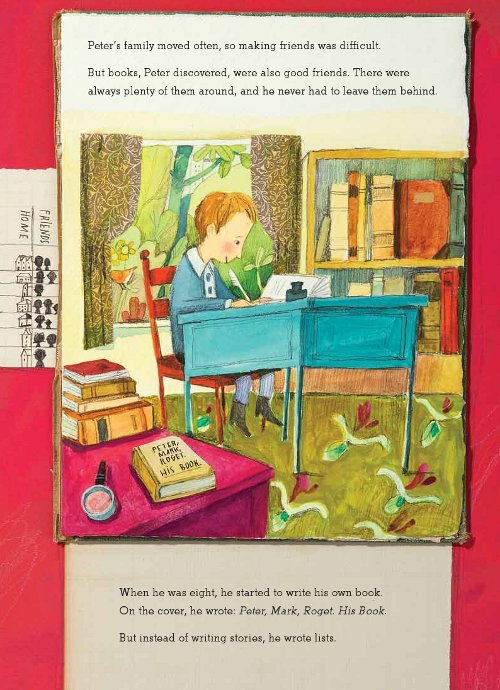 Holding Roget’s book was like holding a hummingbird — delicate, diminutive, yet powerful. Though I saw his handwriting in lovely sepia ink, I knew that to mimic Roget’s handwriting would only be interesting for a page or two. The words and pictures had to be intertwined. I crafted the content of the lists to reflect his age at the time, the setting, what he was studying. I confess to getting sidetracked by this book for hours on end (full disclosure: it was days and weeks on end), riveted by the beauty of his classification in his Thesaurus. I could not put this book down! 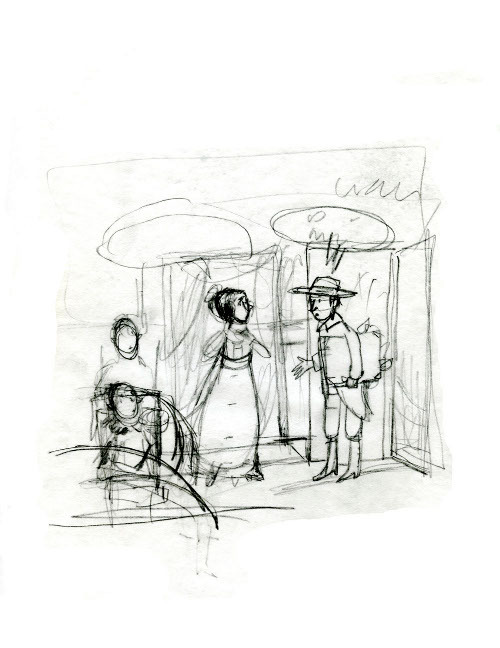 Every book starts with the dummy, but storyboards help determine pacing, even if it’s just a cryptic note. 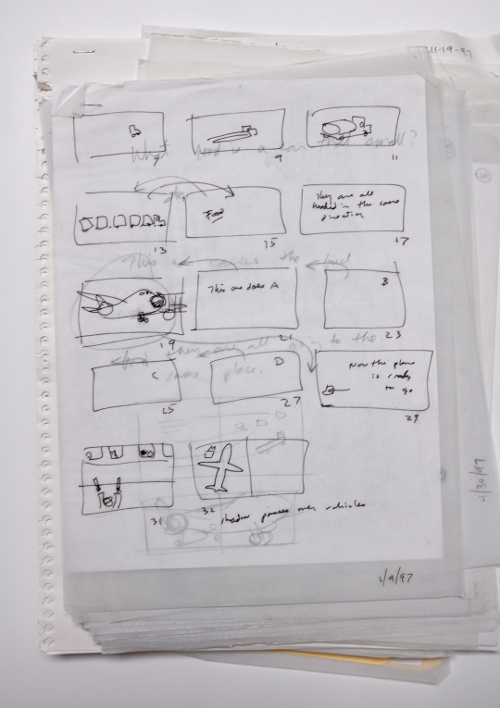 In this case, we weren’t certain if the book would be 40 or 48 pages, and this helps to see various paginations. 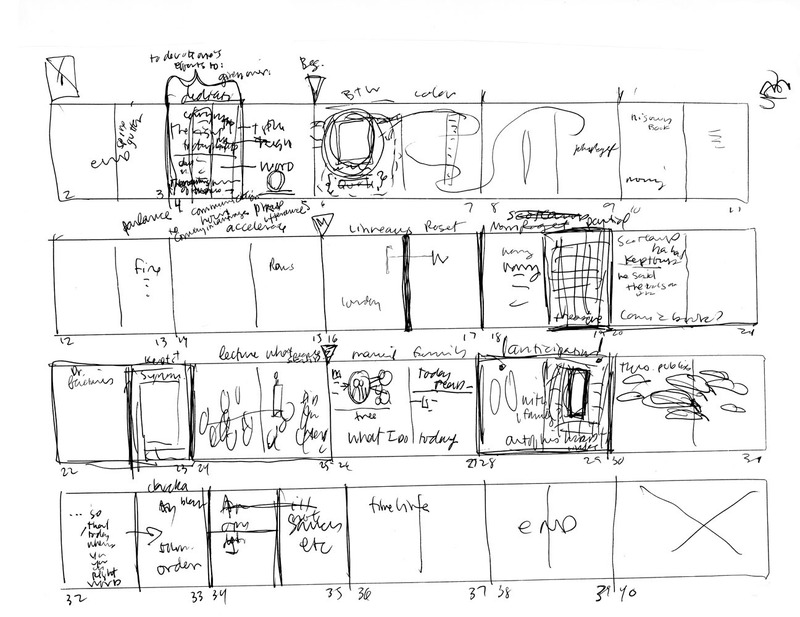 I make three to four storyboards as I sort out the book. 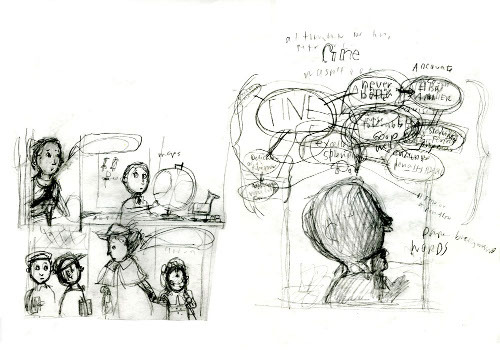 On the right are the Latin lists Roget worked on as a boy. Illustrating this first list set the tone for the rest of the lists in the art. Once I had the word lists for a given spread, the collages had a life of their own. There’s no real way to know what the final art will look like. I just begin. 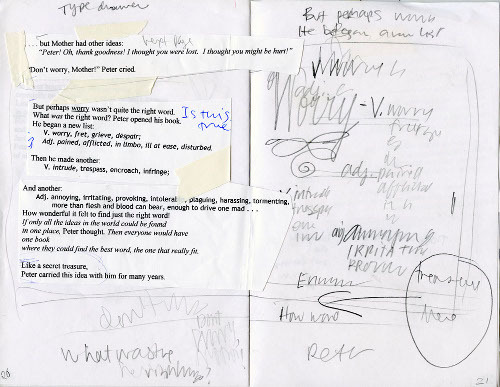 In this case [below], Jen had written a list within the text, which was incorporated into the art seen on the left-hand page. 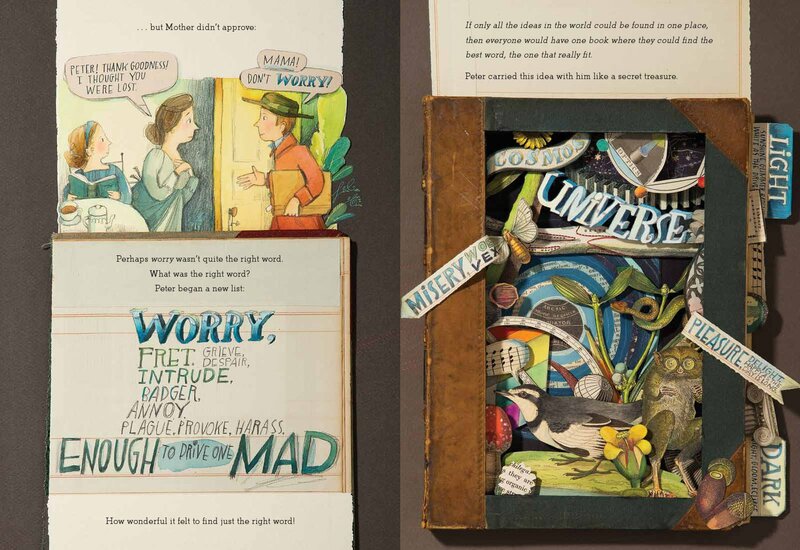 It made sense visually to hand–letter it. 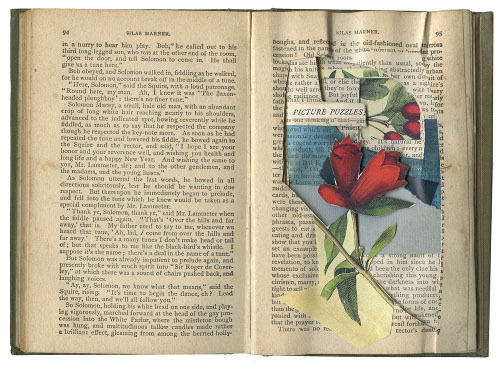 The collage on the right [second image below] is partly carved out of an old book and partly crafted by adding to it. Inspired by the text: “all the ideas in the world” led to using the words light and dark, universe, cosmos, etc. and visually creating depth in this collage with the celestial sky in the background and the natural world in all its minutia in the foreground. Reflecting the mood of the spread, and since Roget’s word book included antonyms, this collage also includes pleasure; its opposite, misery; and associated words. It was such a pleasure to work with everyone at Eerdmans. There was a lot trust this would all work out with only my sketchy dummies to go by! The production on this book is gorgeous. We’re all thrilled. Logophiles (or logomaniacs, as a friend refers to word aficionados), here’s to finding the right word whenever you need it. And to Jules: Thank you, with gratitude, much obliged! 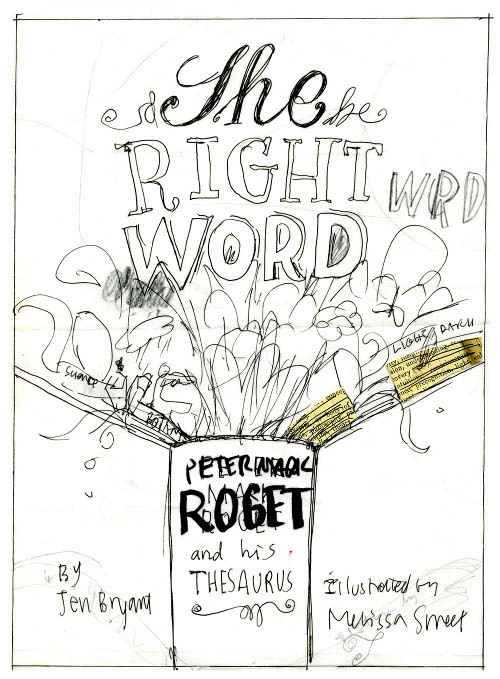 THE RIGHT WORD: ROGET AND HIS THESAURUS. Copyright © 2014 by Jen Bryant. Illustrations copyright © 2014 by Melissa Sweet. 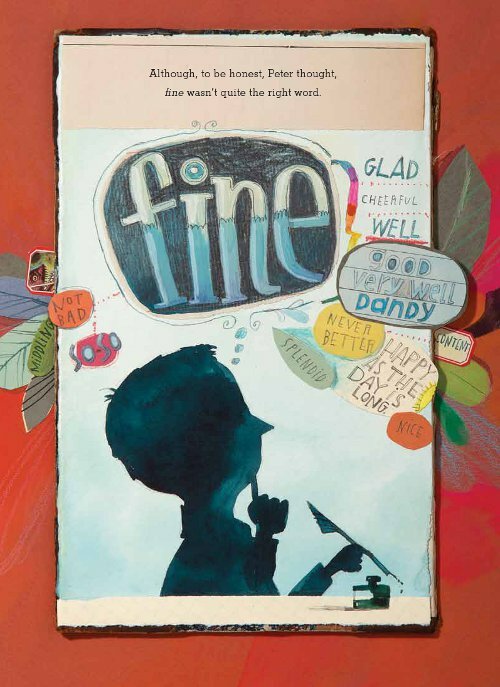 Published by Eerdmans Books for Young Readers, Michigan. 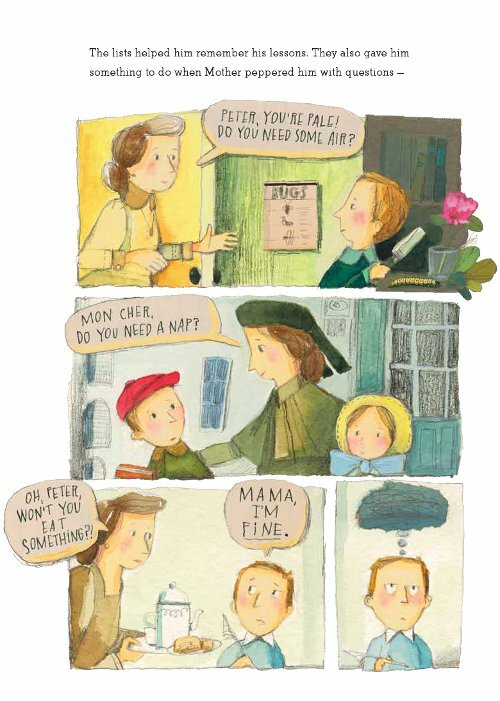 All images here reproduced by permission of Melissa Sweet and the publisher. 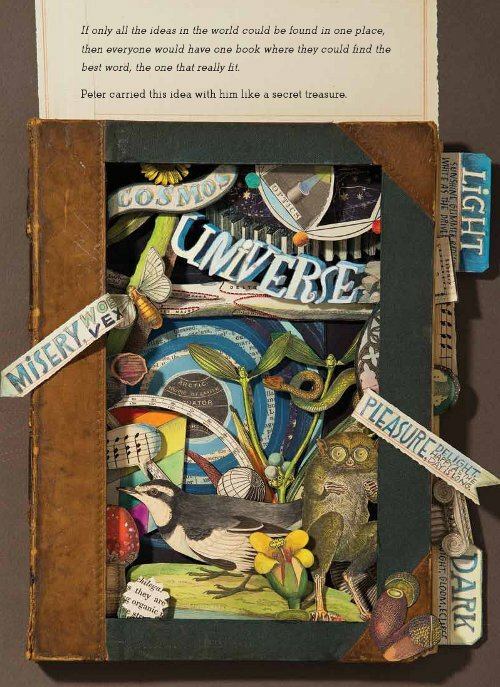 This book looks amazing–and right down my alley. 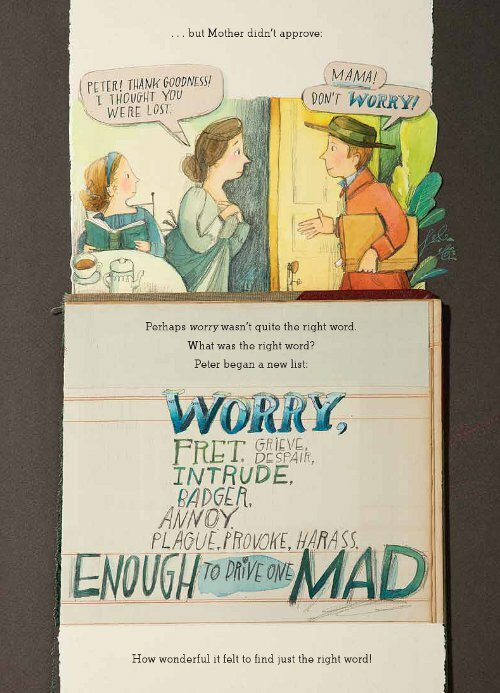 🙂 I especially love the collage on the page opposite the “Worry” list. Wonderful! Loved this post. Really, REALLY have to get myself a copy of this book! 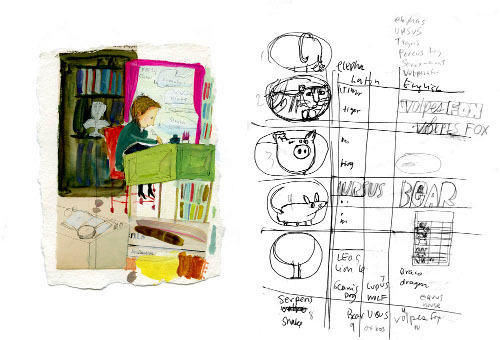 SO much love for this and all the illustrations of this person — this is a MUST GET on my list for me! Wow. This book is BEAUTIFUL. Thank you for this post—inspiring! 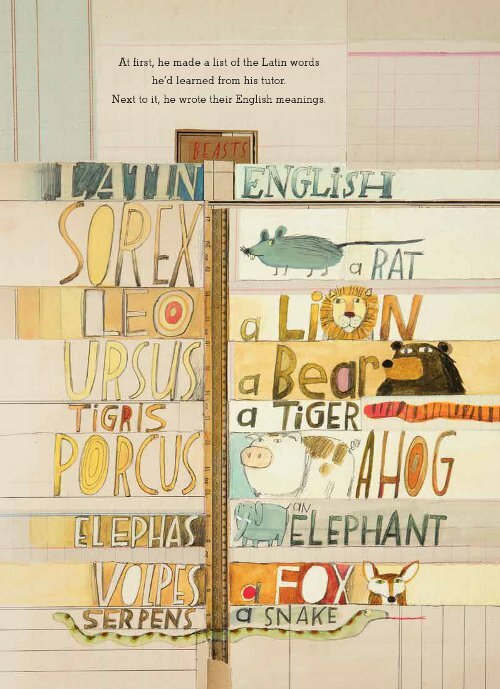 I love this Melissa, I may have to get it because my regular Thesaurus is too uninteresting compared to this. 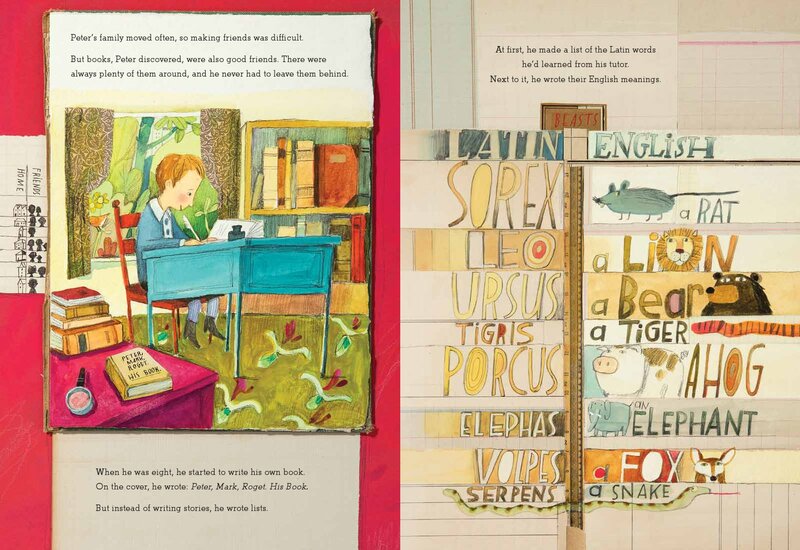 Oh this book looks so so wonderful – I love the collages and the images within – and the color. Thank you Julie! Melissa Sweet! Jen Bryant! Both of them!!! 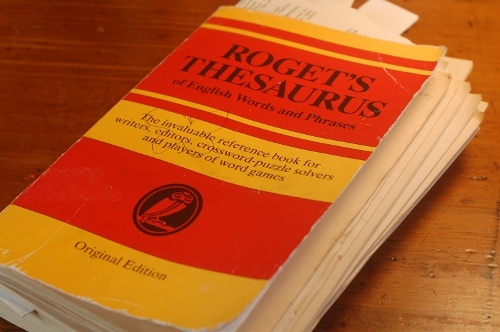 Roget! Thesaurus! Words! 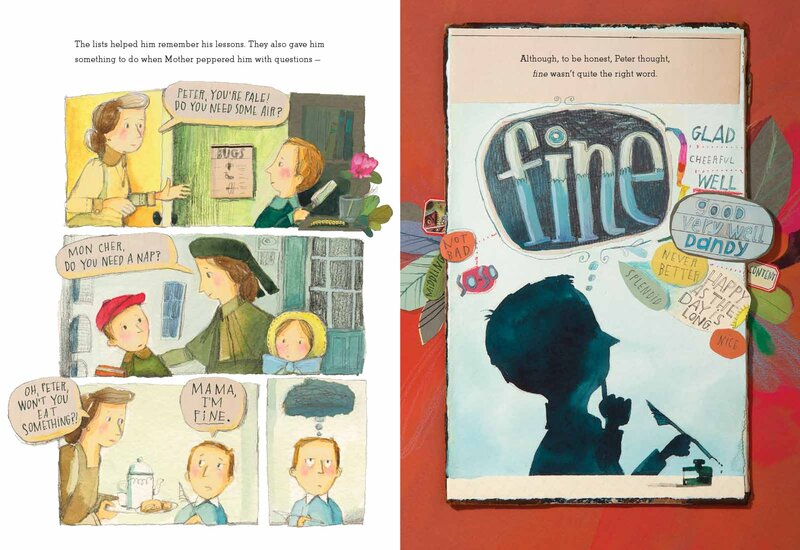 Picture Book Biography! I’m way too tired to be publicly doing anything but this is thrilling. Thanks for sharing this beautiful art. Can’t wait for the book.